In Alankarna-Kaustubha, Kavi Karnapura shows that he deserves a place among the greatest of the greats. 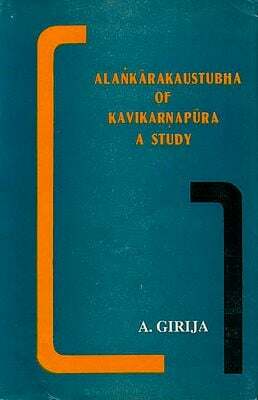 This masterpiece is a thorough exposition that not only encompasses the theory in Rupa Gosvami's Ujjvala-nilamani and Bhakti-rasamrta-sindhu but also covers all step by his learning and creativity Visvanatha Cakravarti's commentary is included here. Alankara-kaustubha is a treatise on poetical theory. 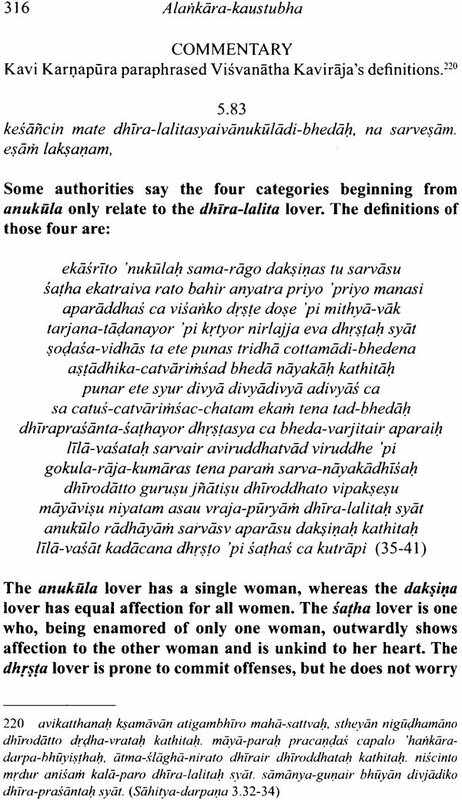 Kavi Karnapura drew from Kavya-prakasa, Sahitya darpana, Dhvany-aloka and Natya-sastra. 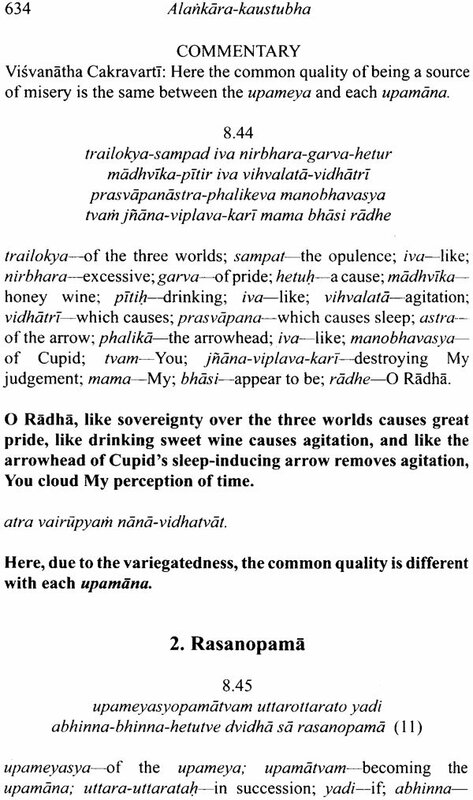 He followed the old tradition, incorporated the concepts of prema and bhakti in his own way, and greatly raised the standards of poetry on all levels. 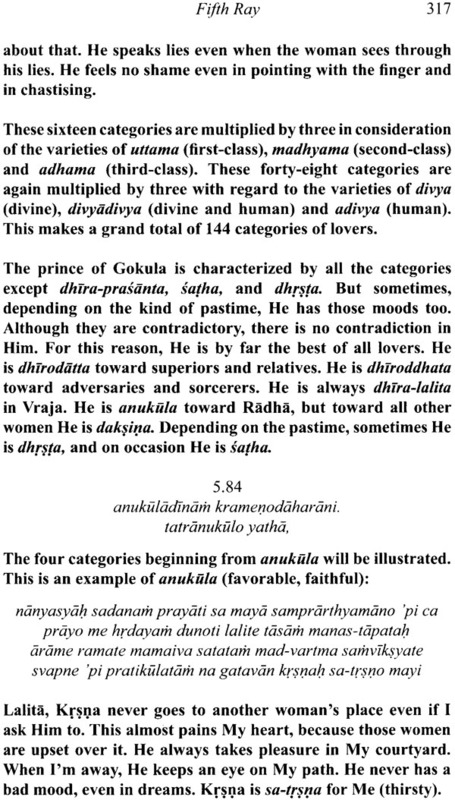 Indeed, the artistic genius in his illustrative examples approaches Jayadeva's boldness in Gita-govinda. 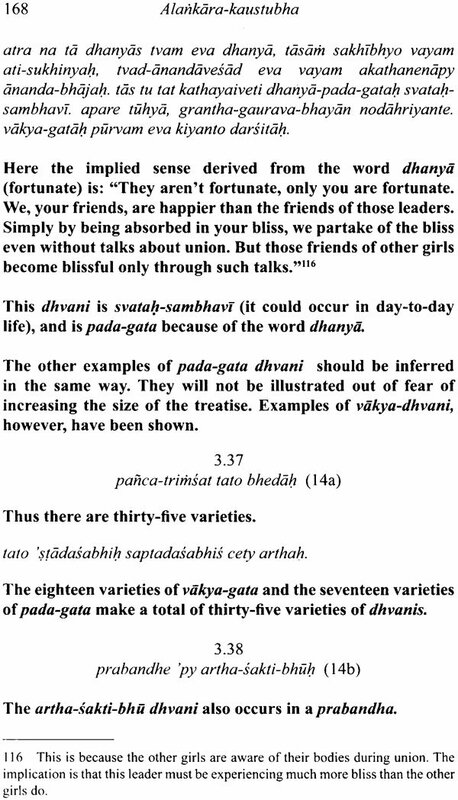 Matsya Avatara Dasa taught Sanskrit grammar for nine years in Vraja: six years in Gopi-parana-dhana Prabhu's Sanskrit school in Govardhana, and three more in Vrinda after Prabhuji's departure. He translated Jiva Gosvami's grammatical treatise Hari-namamrta-vyakarana in full. 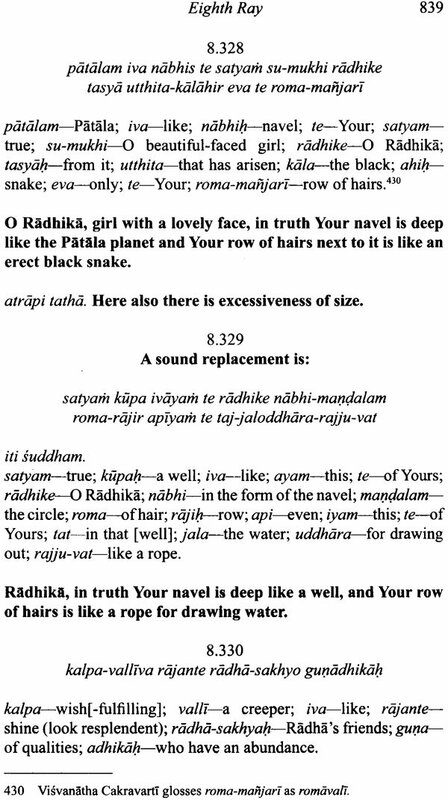 He also translated and illustrated Rupa Gosvami's Citra-kavitvani, from Stavamala. 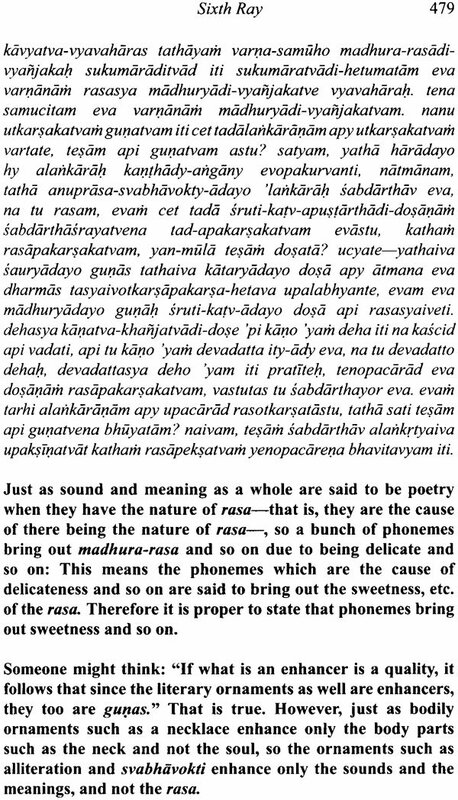 Gaurapada Dasa translated Purusa-sukta (with the commentary of Saunaka), Prayuktakhyata-manjari (by Rupa Gosvami), and the tenth book of Bhagavata Purana (A Symphony of Commentaries on the Tenth Canto). In the field of Sanskrit poetics, he translated Bhakti-rasamrta-sesa (the definitions of Sahitya-darpana with examples from Gopala-campu, Govinda-lilamrta, etc. and Baladeva Vidyabhusana's Sahitya-kaumudi (a remake of Kavya-prakasa, with Gaudiya Vaisnava examples). 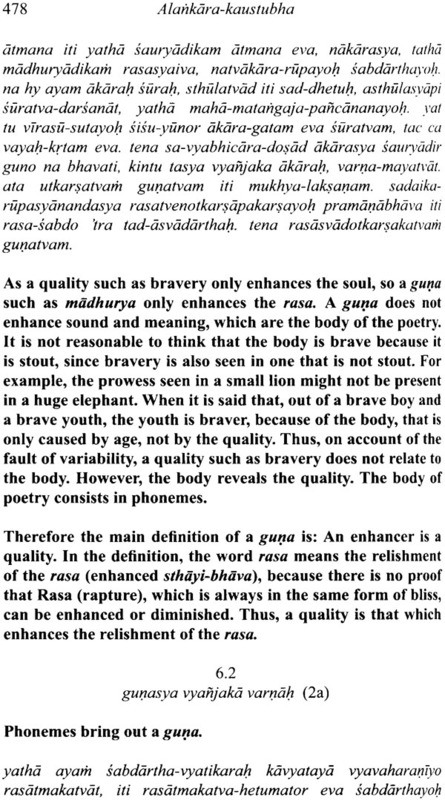 He is also the author of A Versified History of Sanskrit Poetics: The soul is Rasa. 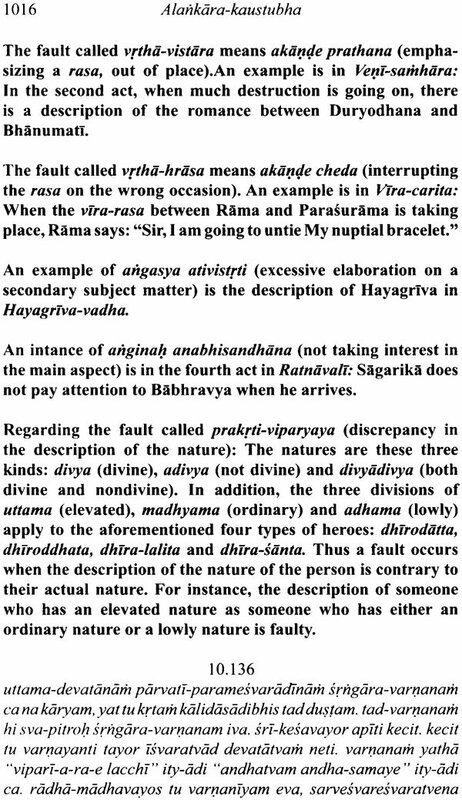 Like Hari's chest bears the splendid Kaustubha jewel. Kavi Karnapura was initially called Paramananda Dasa. 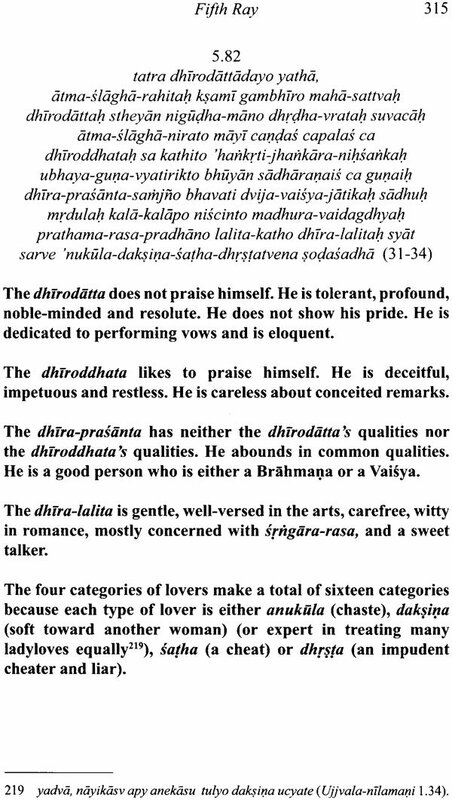 Sri Caitanya Mahaprabhu jokingly called him Puri Dasa (Caitanya-caritamrta, Antya 12.49). Kavi Karnapura received Mahaprabhu's mercy at a young age: The Lord put His big toe in the child's mouth (CC, Antya 12.50). 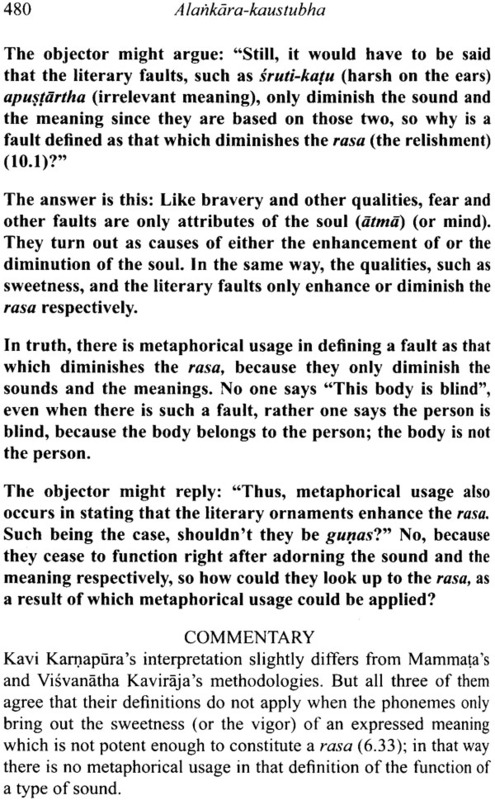 Accordingly, Alankara-kaustubha is a masterpiece of poetical theory. This treatise rivals the greatest works of its kind. 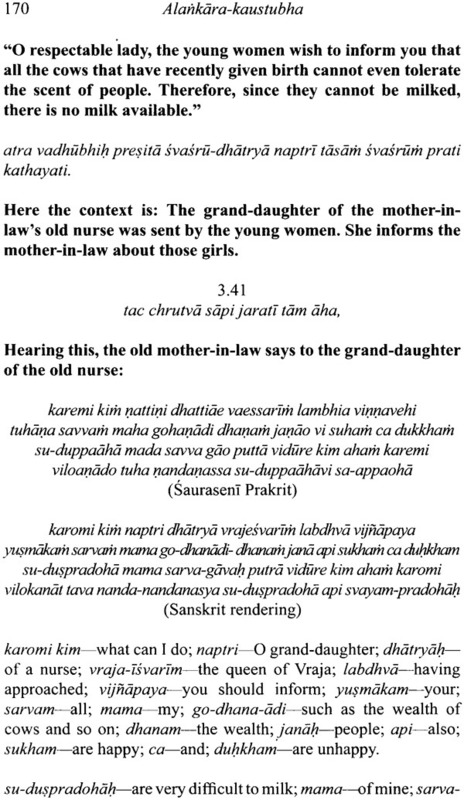 For the most part, Kavi Karnapura followed the methodology of poetical theory expounded by Mammata in Kavya-prakasa, the bibl of Sanskrit poetics. 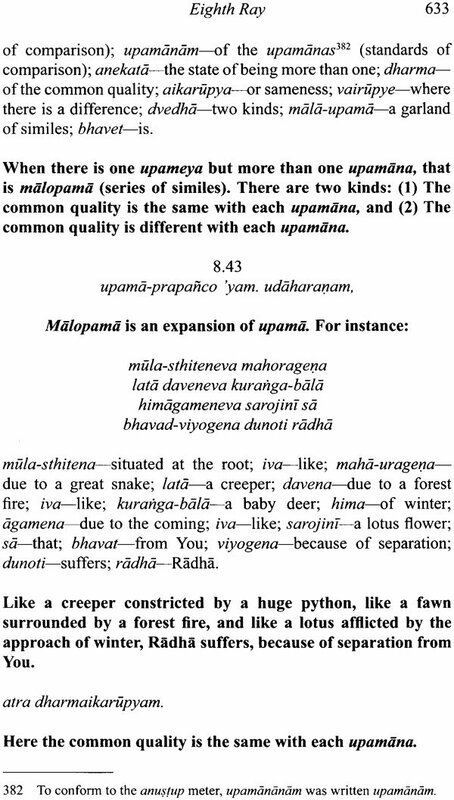 Kavi Karnapura Paraphrased Mammata's definitions of poetical concepts, but he composed all his illustrative examples. On occasion he showed creativity in the theory in the theory as well. 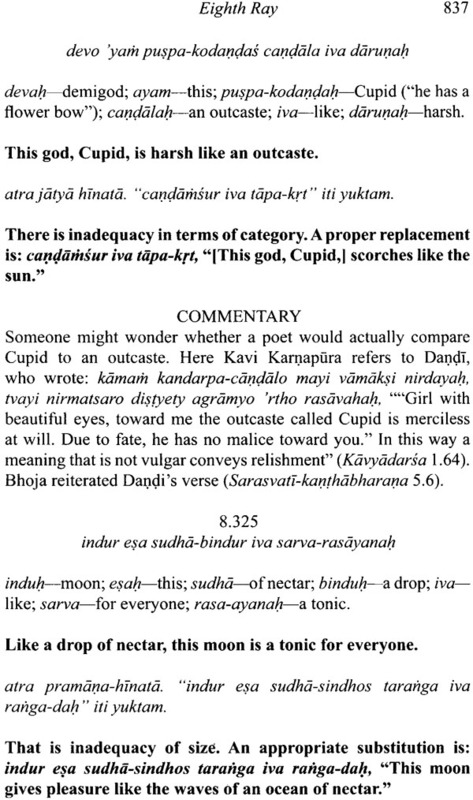 In Sanskrit, many book titles express the concept of shedding light on a topic. Typically, the first word in a title refers to the topic and the second word refers to a thing which sheds light. In the title Alankara-kaustubha, the word alankara is a synonym of sahitya (literature) and kavya (poetics), and the word kaustubha refers to the famous red jewel the Lord wears on His chest. Thus the title literally means "a Kaustubha for poetics". 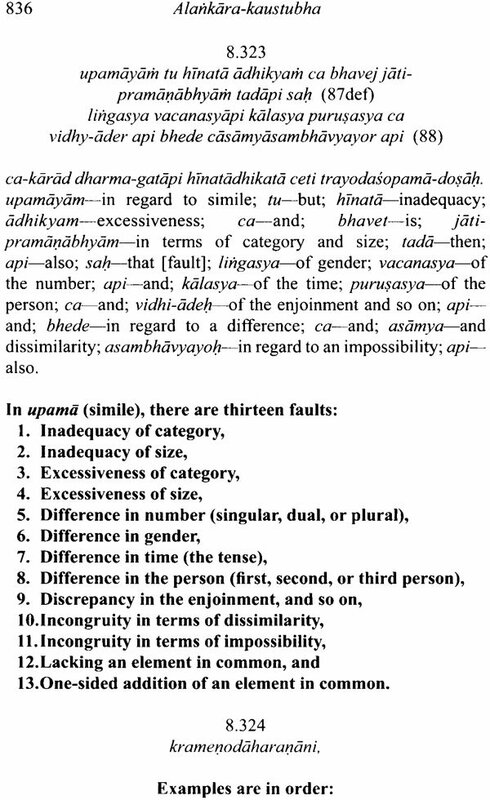 In Sanskrit poetics, sometimes authors select a peculiar term for "chapter": For example, in Kavya-prakasa, a chapter is called ullasa. 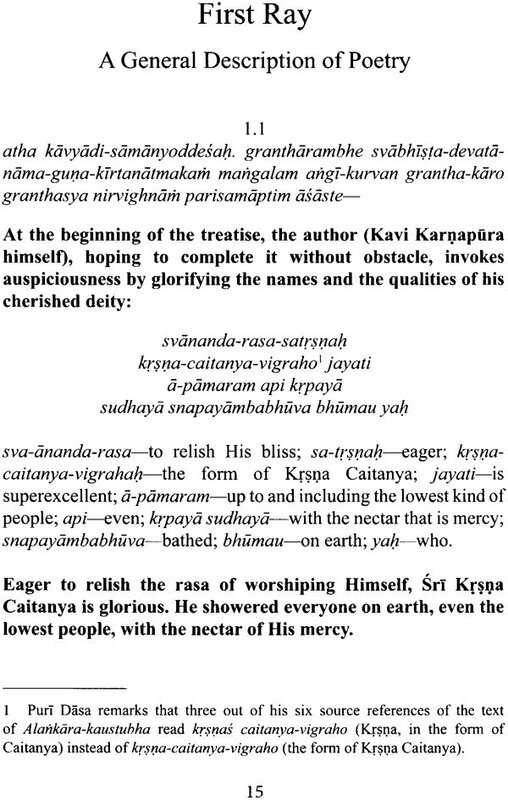 Kavi Karnapura uses the term kirana (ray). As a jewel emits rays, so this Kaustubha jewel emits ten rays that illumine ten traditional topics of alankara-sastra (Sanskrit poetics). 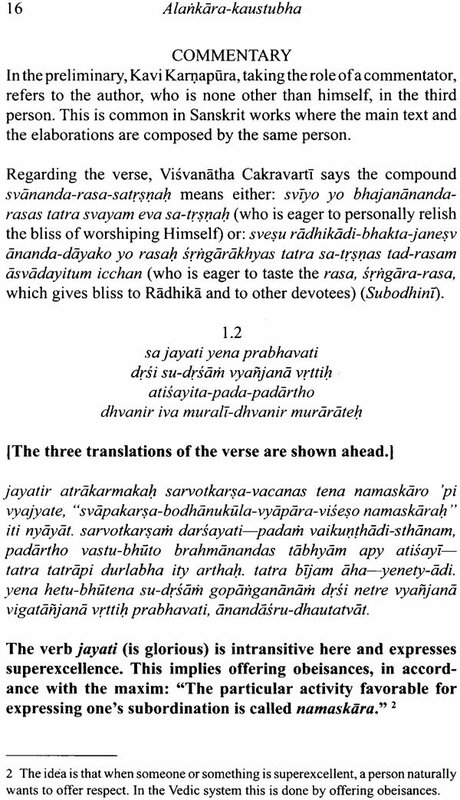 Similarly, Baladeva Vidyabhusana entitled his textbooks on poetics Sahitya-kaumudi (a moonbeam for [shedding light on] poetics) and Kavya-kaustubha (a Kaustubha jewel for [shedding light on] poetics), and Rupa Gosvami entitled two of his kavya-related treatises with the names Nataka-candrika (a moonbeam on dramaturgy) and Ujjvala-nilamani (a sapphire for [shedding light on] ujjvala-rasa (madhura-rasa). 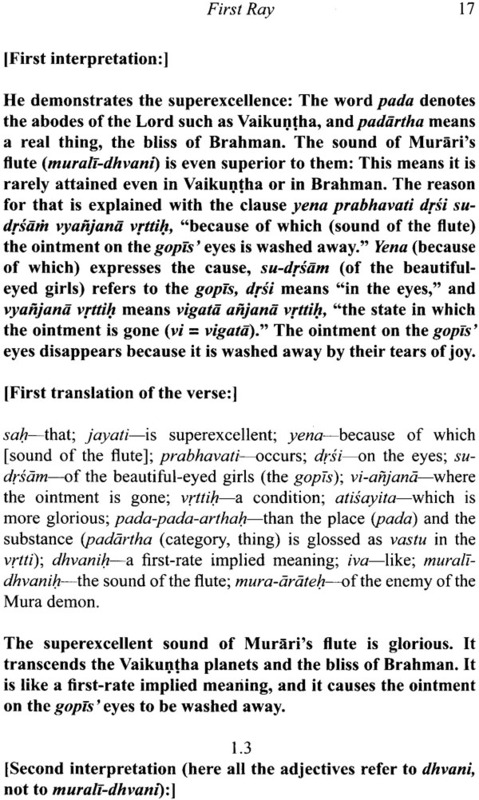 In other contexts, the term alankara means either literary ornament (chapters 7-8), emotional ornament (5.165). or bodily ornament. 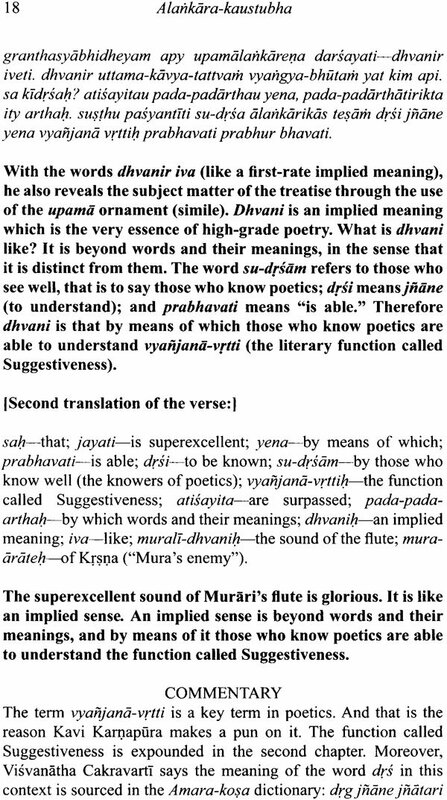 In most classical works on Alankara, the format is threefold: karika (definitional verse) vrtti (elaboration) and udaharana (example). 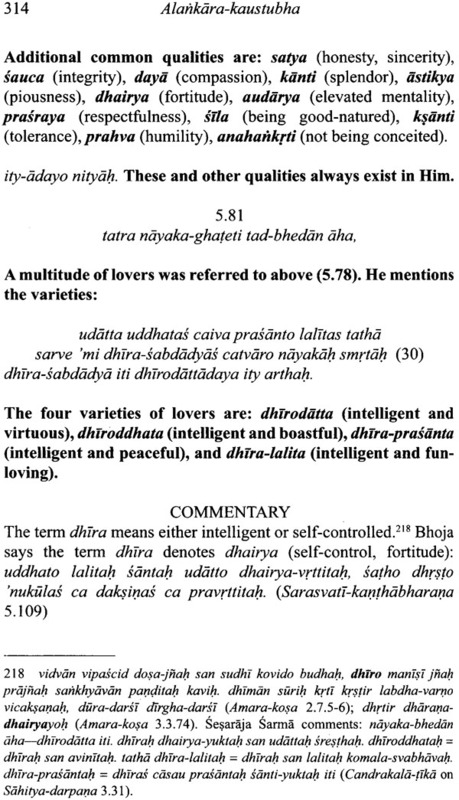 In poetic, a definition is called sutra. Sometimes one kartika contains several sutras. The number of the karika is in parentheses on the right of it. 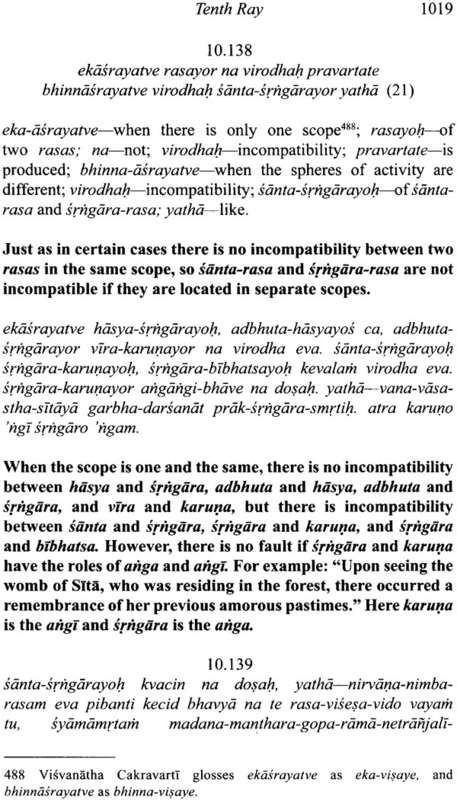 When authors break down one karik into sutras, they mention each sutra separately, with its corresponding elaboration and example. On that occasion, the letters a, b, c and d after a sutra represent the four lines of the karika. In this publication, the numbers of the karakas follow Puri Dasa's numeration scheme. 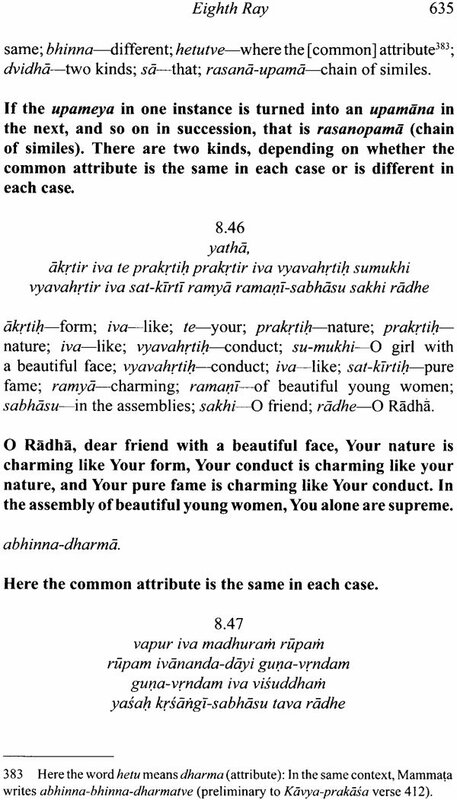 However, all the numbers we give for reference-in the Commentary and in the footnotes-refer to the central number of the text, not to the number of a karika. 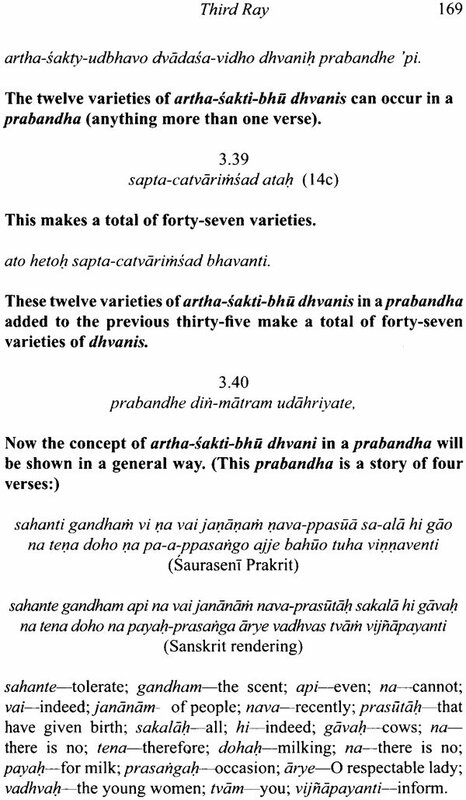 As for the of treatises which still only have a numeration scheme for karakas, such as Kavya-prakasa and Sahitya-darpana, naturally the reference number denotes the number of a karika.